Autosale Special Offer Banner. Car Service Discount Vector Illustration. Car Detail, Repair, Gear Brake, Seat, Windshield, Wheel, Bumper, Door, Engine Components, Exhaust System. Royalty Free Klipartlar, Vektör Çizimler Ve Stok Çizim. Image 116657007. 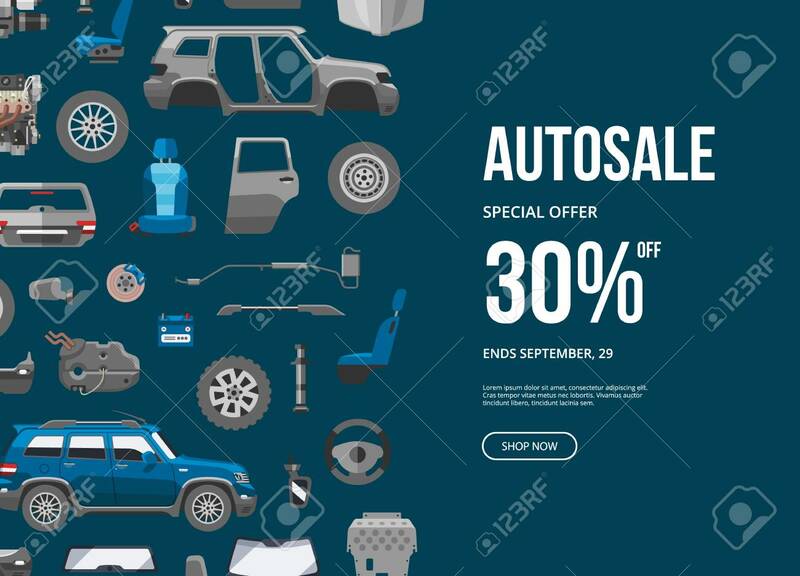 Stok Fotoğraf - Autosale special offer banner. Car service discount vector illustration. Car detail, repair, gear brake, seat, windshield, wheel, bumper, door, engine components, exhaust system. Autosale special offer banner. Car service discount vector illustration. Car detail, repair, gear brake, seat, windshield, wheel, bumper, door, engine components, exhaust system.